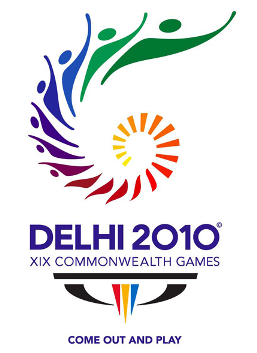 New Delhi is cherished with pride to host the Commonwealth Games 2010.This time we Indians got a chance to organize Commonwealth 2010 games. We are extremely cherished with the joy that we won the bid for organizing Commonwealth games and it will held in the capital city of Delhi. Commonwealth games involves a group of best nations and also there best athletes. This types of games are organized to make mutual understanding more stronger between nations. The Commonwealth gives opportunity to create an atmosphere of economic co-operation between member nations, as well as the promotion of democracy, human rights, and good governance in those nations. India`s various culture which is a mixture of traditional and modern will definately make games special. The common wealth is a multi sport event held every 4 years. It is the biggest sports events to ever be held in the country. In Commonwealth games you can see sports activities like Aquatics, Athletics, Archery, Badminton, Bowls, Boxing, Cycling, Gymnastics, Hockey, Ne tball, Rugby 7s, Shooting, Squash, Table Tennis, Tennis, Wrestling , Weightlifting are all meant to bring the countries together to strengthen the relationships. The Commonwealth 2010 games held in India between 3rd October to 14th October 2010. The opening ceremony is scheduled to take place at the Jawaharlal Nehru Stadium, Delhi. New Delhi is preparing itself for commonwealth games by planning to improve its urban infrastructure as well as its sporting facilities. Hosting sports events like this brings business opportunity and also feels prestigious achievement resulting in opportunities for economic profit, global media exposure and also urban regeneration. The total budget estimated for hosting the Commonwealth 2010 games is US$ 1.6 billion and the amount excludes non sports related infrastructure development in the city like roads, airports and other structures. This makes the 2010 Commonwealth Games as the most expensive Commonwealth Games ever. As in the words of Indian sports minister Suresh Kalmadi, "The colour, costumes, the traditions and heritage will be world class, the public will be welcoming and friendly and the flair of India is what will make the next Games really unique." 1) Stimulate economic growth and development. 3) Efforts to make Delhi ‘world-class’. 5) New Stadiums and renovation of existing stadiums. 6) Increase in roads and flyovers. 7) Increase in a number of hotels. 8) Asiad Village, and much more. In the upcoming commonwealth games 71 nations will be host teams in 17 sports. The list of countries is given below: Anguilla, Antigua and Barbuda, Australia, Bahamas, Bangladesh, Barbados, Belize, Bermuda,Botswana, British Virgin Islands, Brunei, Cameroon, Canada, Cayman Islands, Cook Islands,Cyprus, Dominica, England, Falkland Islands, Gibraltar, Gambia, Ghana, Grenada, Guernsey,Guyana, India, Isle of Man, Jamaica, Jersey, Kenya, Kiribati, Lesotho, Malawi, Malaysia, Maldives, Malta, Mauritius, Montserrat, Mozambique, Namibia, Nauru, New Zealand, Nigeria, Niue, Northern Ireland, Norfolk Island , Pakistan, Papua New Guinea, Saint Helena, Saint Kittsand Nevis, Saint Lucia, Saint Vincent and the Grenadines, Samoa, Scotland, Seychelles, Sierra Leone, Singapore, Solomon Islands, South Africa, Sri Lanka, Swaziland, Tanzania, Tokelau , Tonga, Trinidad and Tobago, Turks and Caicos Islands, Tuvalu, Uganda ,Vanuatu, Wales, Zambia. Venues for Commonwealth Games are : Venues should be located near the Games Village at an average distance of 10-15 km which can be travelled easily.All these venues along with the Games Village are to be inter-connected with each other by high quality roads and metro rail network. 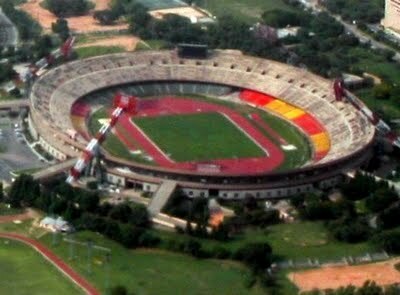 Jawaharlal Nehru Stadium : Here Opening and Closing ceremony will be held.This stadium will host athletics, lawn bowls and weightlifting events in the coming Commonwealth Games. Indira Gandhi Stadium : This stadium is to be used for Cycling, Archery,Gymnastics and Wrestling events of the Commonwealth Games. Dhyan Chand National Stadium : Hockey. Siri Fort Sports Complex : Squash and badminton. Talkatora Indoor Stadium : Boxing. Tyagraja Sports Complex : Host netball event for 2010 Commonwealth Games. Yamuna Sports Complex : Host Table Tennis for 2010 Commonwealth Games. In recent years sports events become more important among youths as well as old, They came forward to take parts to give full support to their nation team and encourage them to win. Today`s people become more enthu for such type of activity. The people also gave support to other nation teams which helps other nation to come closer in bringing nations strength. Sports attracts a large number of tourists to host city, which gave arose in investment and also boost tourism. The prospects of international travelers and tourists who will come to India during the period is already keeping India tourism and hospitality industry at its higher. Commonwealth Games 2010 are also being seen as a good opportunity for promoting India Tours among international tourists. India travel agents made special tour packages relating to Commonwealth Games 2010. The 2010 Games also presents an opportunity for India to showcase itself as a sporting and cultural nation and economic power. We think commonwealth Delhi surely makes history towards its success.